A widow has raised over £10,000 for two good causes in memory of her late husband Christopher. Diane Cobb, 55, from Baxenden, said she is shocked to have raised so much money after hosting ‘Cobby’s fun day’ at the Alma Inn following the death of her husband in May. Christopher, known as Cobby to his friends, was diagnosed with prostate cancer in May 2015 – and died almost three years to the day from the diagnosis. The money raised from the fun day, organised while Christopher was undergoing treatment, was split equally between Macmillan Cancer Support and East Lancashire Hospice, who supported the former Senator transport manager during his final months. Tragically, just weeks after Christopher died, his sister Ann passed away, and Diane’s father was taken ill after Christopher’s funeral. Diane said: “We have had a tough year. We would have been lost without Macmillan and East Lancashire Hospice. I could not have asked for better care for Christopher. Without their support he wouldn’t have been able to have his final wish to die at home. 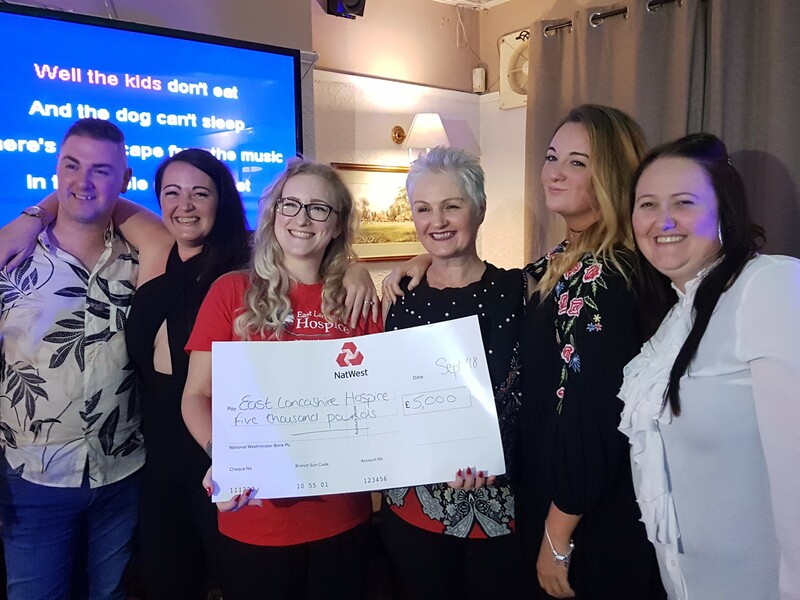 Diane, who has four children and five grandchildren, handed over a cheque to the charities on Saturday at the Alma Inn – with extra fundraising events in the evening. She already has plans to make the fun day an annual event. “I didn’t think I would raise that much and we only started planning for it the month before. We have lots of things in the pipeline already ahead of next year’s event. We want to make it an annual event in his memory. Money has been raised through donations, tombola, car boot sale, bucket collections, quizzes, horse racing nights and raffles among other things.